Maxwell: Momma was cooking Sunday afternoon, and taking photos of it for her new blog. So I supervised. Here I am, helping to style the onion shot, to make sure it looked its best. As you can see, I had to give the onion quite a pep talk. He shaped up quite well, though. 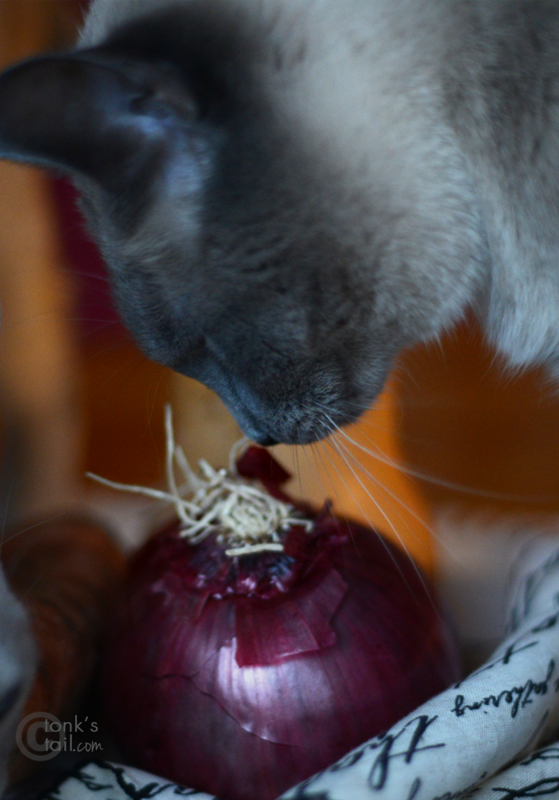 We also thought now would be a good opportunity to remind everyone that onions aren't good for us felines. Or dogs either. They're in a species of plants called allium. Did you know there are 95 different types of allium plant? And all of them are toxic to pets. That includes leeks, chives, garlic, and shallots, too. If you'd like to read more about how much onion it takes to be toxic to your pet, click here to read our Monday Medical report on it. When you're doing your holiday cooking, remember: we pets can supervise, but no taste testing! Unless you're cooking up a nice batch of bonito flakes. Uh, gotta go. I think I left a bite or two in my bowl. That onion is very pretty, but you are we don't want to eat it. No way! Meant to say "you are right"
Great reminders, Maxwell. How sweet of you to help your mom out even when she's working on something besides *your* blog! BOL she chucks me out of the kitchen during cooking time if I don't stay in my basket.... big sigh. Have a tremendous Thursday. Thanks for the reminder about onions being toxic for pets. We will go and check out your Momma's new blog. Your mom has ANOTHER blog?! We just checked it out. Our mom is excited about it - she says that kale smoothie looks delicious. She and dad have been wanting to get into smoothies and trying to eat healthier, so she will be following your new blog! That is a nice looking onion- I love drinking my food :) I can't wait for the recipe an great reminder about the dangers of onions. I would have checked out those furry roots on the onion too.....but otherwise I know they are NOT good for munchables! How on earth can your busy Mom have time for another blog??? HMM?? Your new blog is gorgeous, but...unless it is just my computer, it is loading SUPER SLOWLY............and...could you please add follow by email to your sidebar? I would LOVE to follow it because I am a MAJOR "foodie" and I think your new blog is going to be superb! Thanks! Pls let us know when you have added follow by email. She did it! It made her head hurt, but hse THINKS she has "follow by email" up on the food blog!! WOOT!! My human loves leeks, and she has this recipe that uses them with olive oil and chicken broth for a pasta sauce. The last time she made it, there was a little left over in the pan and I found it - yum! But when she came back to the kitchen and found me stealing it, she literally pulled the shredded leek out of my mouth! So not fair. She says I am lucky I did not have to go to the vet (yes, she called to make sure). P.S. 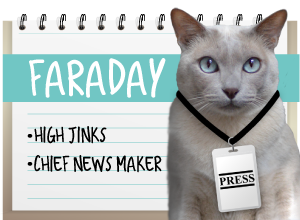 My human loves your new blog... and can't figure out when you have time to cook, since she is pretty well sure you are far busier than her! Maxwell, I bet your momma was very happy to have your help. Well, I like gravy, so I guess I get drinkin food sometimes. guys....ewe due noe burd iz poiz unuz ta cats dont cha !!! guys.....ewe due noe sghetti ohz iz grate for cats dont cha !!! Mmmmmm not so much da onion, but da bonito flakes sound gweat. 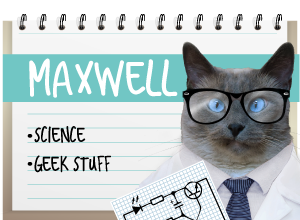 You're an excellent helper, Maxwell. Ashton wanted to say a special thank you for noticing her name was wrong and fixing it when you addressed the holiday card to us (and thank you for the beautiful card, too!). She has been getting called Andrew a lot the past couple weeks, and you know that we boys are teasing her mercilessly about it. Maxwell, It's neat that you're so experienced that you can coach the onion in how to be photogenic. Onions are definite no-no's for kitties and even for doggies. But they're so stinky, I don't know why a kitty would want to eat them (the onion, not the doggie). We're not really interested in peoples food so the mom doesn't worry about us too much. You are a great helper Maxie! Mazie is fascinated by onions too which perplexes me! Everyone else here hates them thank goodness! 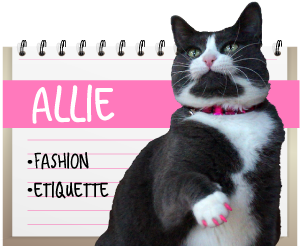 Your mom's new website looks pawsome! So nice of you to help her with it. You have made that onion look very interesting.